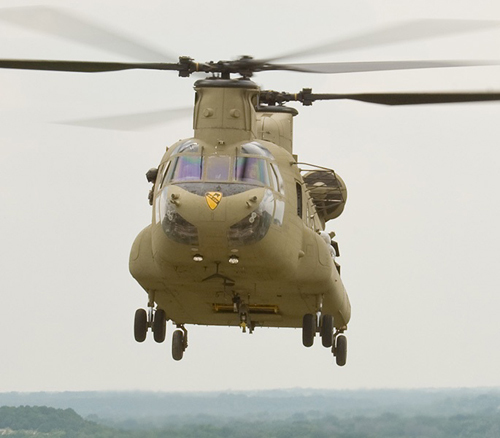 Boeing and Rohde & Schwarz have reached an agreement to offer Rohde & Schwarz’s next-generation software-defined airborne radio (SDAR) into the flight systems of H-47 Chinook helicopters. The R&S SDAR will give operators of the Boeing-built Chinook significant communications capabilities. “This is yet another example of how we can accommodate unique customer requirements. Customers will enjoy tailorable encryption, frequency hopping, agility, and excellent voice and data connectivity advantages compared to conventional radios,” said Michael Hostetter, Director, Boeing Vertical Lift Programs in Germany. “We are delighted that we are establishing this partnership with Boeing, a partnership that will put the next generation of software-defined airborne radios on Chinook helicopters,” added Stefan Pleyer, Vice President of Market Segment Avionics at Rohde & Schwarz. To-date, Boeing has delivered more than 900 H-47 Chinook helicopters that are on order or operation in 20 countries, including eight NATO nations; Canada, Greece, Italy, Netherlands, Spain, Turkey, United Kingdom, and the U.S., allowing for increased interoperability between NATO nations during joint training and deployment operations worldwide. Boeing has been an active partner in the German aerospace industry for decades. With 600 local employees in Germany, Boeing supports an additional 12,000 jobs through its suppliers and partners. The company invests in a growing portfolio of research and technology projects with German industry, universities and research organizations, and engages in industrial partnerships with companies of all sizes across Germany that benefit the local economy. Founded more than 80 years ago, the independent company has an extensive sales and service network in more than 70 countries. On June 30, 2017, Rohde & Schwarz had approximately 10,500 employees. The group achieved a net revenue of approximately EUR 1.9 billion in the 2016/2017 fiscal year (July to June). The company is headquartered in Munich, Germany, and also has regional hubs in Asia and the USA.